We found Mark Zuckerberg. 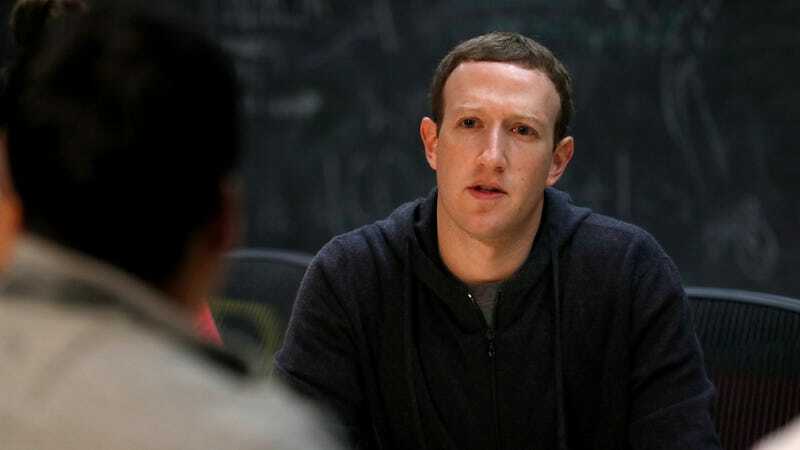 The Facebook CEO has come out of hiding after the Cambridge Analytica scandal shaved tens of billions of dollars from his company’s market cap and sent countless users to delete their profiles. After several days of deafening silence, Zuckerberg admitted in a Wednesday afternoon Facebook post that he and Facebook “made mistakes” and would “do” more to protect users’ data. Zuckerberg did not apologize for anything. The lengthy statement reads like a biased recounting of how Cambridge Analytica ended up with information on over 50 million Facebook users. Zuckerberg is careful to point out that his company changed a policy back in 2014 so that developers could no longer ask for access to users’ friend’s data. This was a year after University of Cambridge researcher Aleksandr Kogan first obtained the data and around the same time that Cambridge Analytica, which was co-founded by Steve Bannon, sought out voter data with financial support from the Trump campaign. But Zuck doesn’t mention Trump or the election or really any of the potentially world-changing consequences of this Facebook user data ending up in the hands of political strategists hellbent on exploiting Americans’ worst fears. Mark Zuckerberg says he’s responsible, but he fails to say he’s sorry. The encouraging news to come out of the dry, lawyer-y post from Zuckerberg is a three-point plan to address the issue of user data security. First, Facebook will conduct an investigation and an audit to see how much more user data might have gone missing in recent years. Zuckerberg also promises to notify users if their data has been misused. (More on this in a second.) Next, Facebook will clamp down further on how much data developers can access, a new effort that further reverses Zuckerberg’s long-held promise to make the world more open. Finally, Facebook will put a widget on the top of your News Feed that will make it easier to control which apps can access your data and how much they can access. That first step is the biggest one, though. It’s essentially a quest to see how deep the damage might go and a promise to let users know if their data has been compromised. What’s really wild about all of this is that Facebook knew that Cambridge Analytica had gained access to a large quantity of its user data all the way back in 2015. Zuckerberg tacitly admits this in his statement when he says, “In 2015, we learned from journalists at The Guardian that Kogan had shared data from his app with Cambridge Analytica.” It remains unclear how much Facebook knew about the compromised data and when Facebook knew it. We know now that, three years ago, Facebook didn’t notify users that their data had been obtained by a bunch of political strategists who intended to exploit it. Mark Zuckerberg doesn’t apologize for trying to keep this whole thing a secret. Mark Zuckerberg doesn’t say he’s sorry at all.